Part Number# VH091672 for the 02-07 Subaru Impreza WRX/STI w/ Manual Transmission has been improved (replacing part number R2704). Read about it on MotoIQ! See below for the official press release. 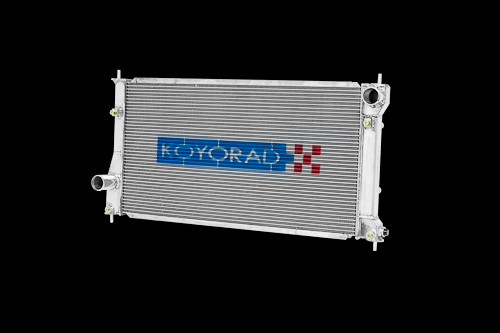 Koyorad | Koyo is proud to introduce a new and improved all aluminum Race radiator for the 02-07 Subaru Impreza WRX/STI w/ Manual Transmission (Koyorad part number VH091672). Koyorad's revised version replaces the 53mm version with their new 36mm "Hyper V" core. While being a thinner core at 36mm it is equally as effective since designed with a much higher fin density. This improved version saves weight, improves space and air circulation to the engine and other components. Integrated into this new design is a female 1/8PT fitting (supplied with a threaded plug) which accepts temperature sensors typically included with aftermarket temperature gauges. Koyo designs and manufactures each radiator with precision; therefore this is a direct-fit performance replacement for the stock OE plastic/aluminum radiator for a quick and simple installation with no modifications. NEW Scion FR-S /Subaru BR-Z Radiator! Koyorad | Koyo is proud to introduce the very first performance replacement all aluminum radiator for the 2013 Scion FRS and Subaru BRZ. This brand new application features Koyorad's new 36mm “VH” Series radiator core to maximize heat transfer. Koyo designs and manufactures each radiator with precision; therefore this is a direct-fit performance replacement for the stock OE plastic/aluminum radiator and bolts directly to the factory fan shroud for a quick and simple installation. 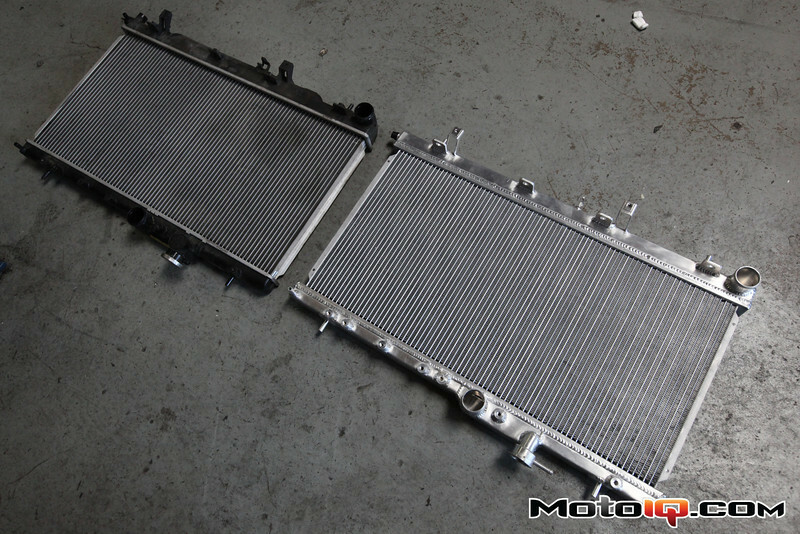 Datsun 510 Radiator coming soon! Koyo is proud to introduce an all aluminum performance radiator for the 1968-1973 Datsun 510 1.6L with manual transmissions. Koyo engineers have designed some unique features into this brand new model. 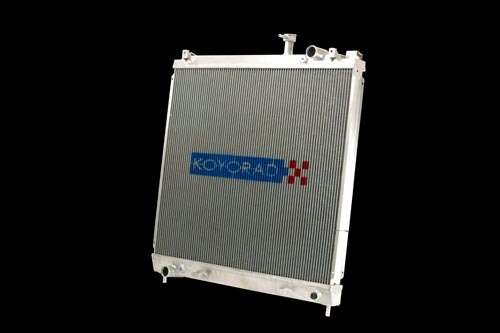 Koyo performance radiator is manufactured with a robust 48mm crossflow core design. Another unique feature is the integrated 1/8” NPT female accessory fitting located near the top inlet tube. This fitting (supplied with a threaded plug) will accept a 1/8” NPT temperature sensor supplied with most aftermarket temperature gauges, or may even accept a coolant line for aftermarket turbochargers. Every Koyo All Aluminum Performance radiator is engineered in Japan, precision welded and polished by hand, and are a direct fit in the vehicle’s factory location for an easy installation. New Radiator - Nissan Titan! Koyorad | Koyo is proud to introduce a performance replacement all aluminum radiator for the 2004-Current Nissan Titan Truck. 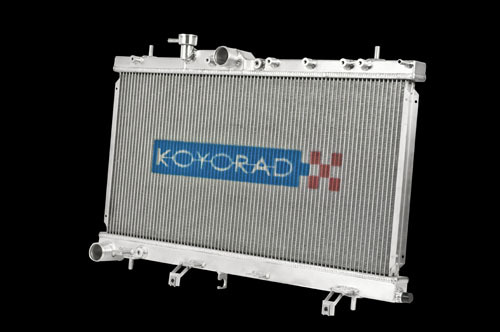 This brand new application features Koyorad's new 48mm “HH” Series radiator core to maximize heat transfer. Koyo designs and manufactures each radiator with precision; therefore this is a direct-fit performance replacement for the stock OE plastic/aluminum radiator and bolts directly to the factory fan shroud for a quick and simple installation. Koyo has also integrated a 1/8 PT female accessory fitting (supplied with a threaded plug) to accept temperature sensors typically included with aftermarket temperature gauges. An external transmission cooler must be purchased separately and installed to complete the installation of this radiator. A transmission cooler is not included in this Koyo part.